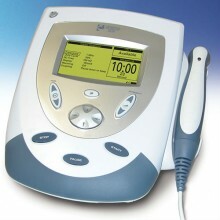 Chattanooga Intelect Mobile Combo (Ultrasound/Current). Intelect Dual Frequency 1 and 3 MHz Ultrasound combined with 2/4 Pole Interferential and 12 other current forms. Click the button below to add the Chattanooga Intelect Mobile Combo Ultrasound to your wish list.